IBC has provided us presumptive load bearing capacity of soils, based on which we can design foundation with some conditions. At first we have to know about load combinations provided by IBC (Basic loads and their combinations). This data can be used only higher values of this presumptive capacity are submitted or substantiated to use by investigation. When building official has doubt about strength, classification and compressibility of site soil, geotechnical investigation should be carried out. Dear reader to assign respective capacity of particular materials, we should consider materials of identical physical characteristic & depositions too; as these values are depend on only soil classification and formation (like sedimentary rock, sandy gravel, silty sand, clay and crystalline bed rock etc.). Organic clays or organic silts, mud, peat or uncontrolled/unprepared fill should not be considered in deriving load bearing capacity from such readymade table as per IBC. 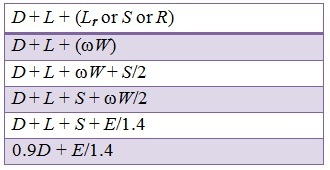 When we have sufficient data to use this value, this table can be used and also for lightweight or temporary structure. 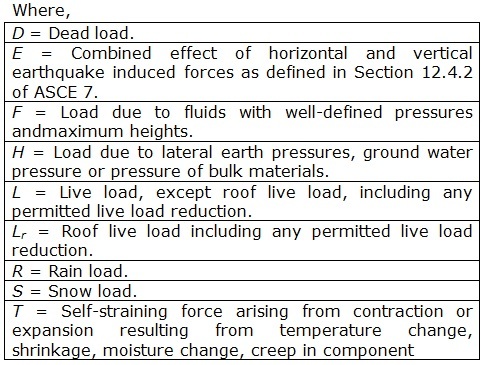 The values of allowable vertical foundation bearing capacity of this table is permitted to increase by an amount one-third when we use alternative basic combination of different loading as discussed above which include earthquake or winds load.